Ducati Glasgow host epic entertainment-filled Season Opening! 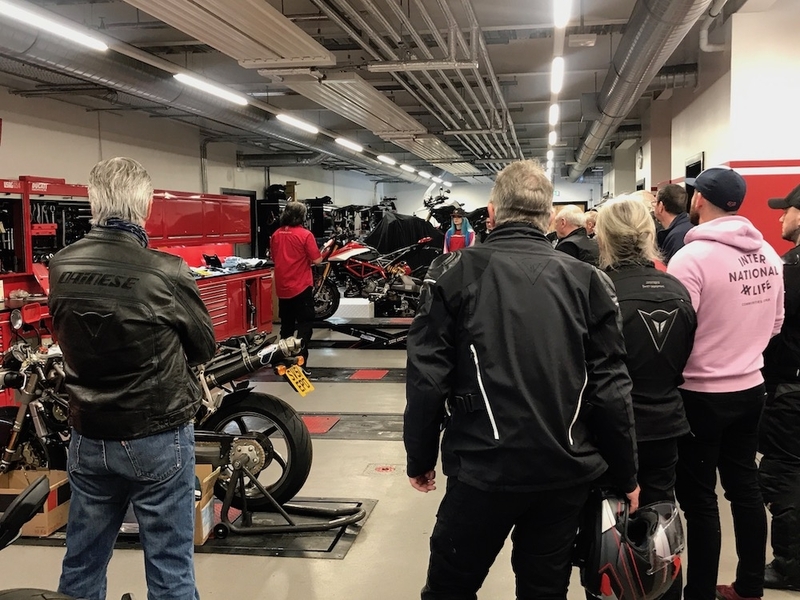 Ducati Glasgow definitely put on a show for visitors to the award-winning showroom during the National Season Opening Weekend, which took place on 30th and 31st March 2019. 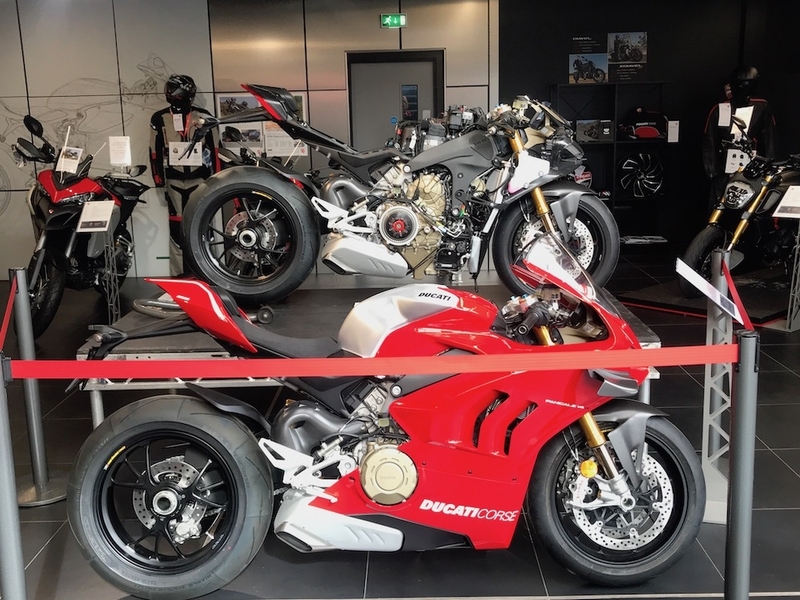 And on display for the very first time, a stripped Panigale V4 R.
Rees then provided a fully guided tour of the £150,000 workshop, which is one of Europe’s largest motorcycle-only dedicated workshops. Visitors were shown how the factory-trained Technicians work, the state-of-the-art environment they work in and explaining how the process and procedures have developed for the dealership. There was plenty more entertainment on throughout the day with the chance to win a Track Day at Silverstone onboard a Ducati, live streaming of the Moto GP, full Italian themed lunch, and those who pre-booked tickets were offered a complimentary Made 2 Measure suit consultation. On the Sunday 31st it was Mother’s Day, therefore Ducati Glasgow offered all Mothers, “Free Buns for Mums!” Which not surprisingly sold out by the afternoon! Some lucky bikers also got the opportunity to take part in a group test ride, which was topped and tailed by Rees and Mike Robins, Financial Director. Almost the entire demonstrator fleet was booked out, with some new riders, existing Ducati Owners and even those who went pillion! It’s fair to say that Ducati Glasgow have once again put on a good show and have provided Ducati fans from all over Scotland with not only an exclusive insight into the behind the scenes of the manufacturer, but also opened their arms and invited customers into the heart of the dealership.